A proper Swiss Army motorcycle jacket. 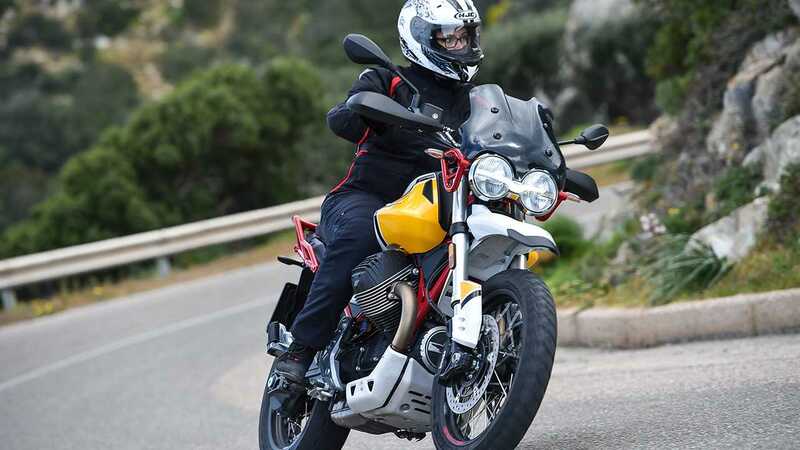 A few weeks ago, I was invited to test the all new Moto Guzzi V85 TT, a bike I had been very much looking forward to getting my hands on. Luck had it that I was already in Italy at the time which meant having to make a quick jump from Milan to Cagliari, Sardinia, to attend. Unfortunately, I had traveled without gear since I had no plan initially to get on a bike while I was visiting. 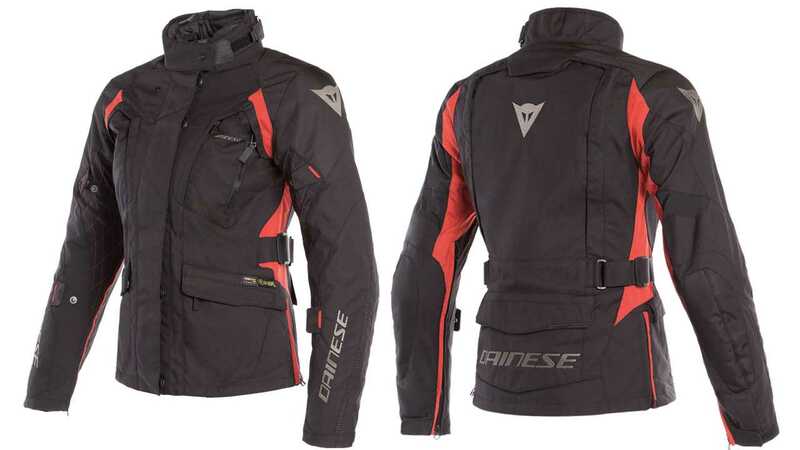 Sure-enough (and lucky for me), Dainese sprinted into action and shipped over to my Italian address a shiny new jacket for me to bring to Sardinia. What I received in a box the morning prior to my departure was Dainese’s X-Tourer D-Dry Lady jacket—the jack-of-all-trades of motorcycle jackets. The X-Tourer D-Dry model is a three-layer touring jacket that pretty much acts as a Swiss Army knife. The more you poke around the jacket, the more features you discover. 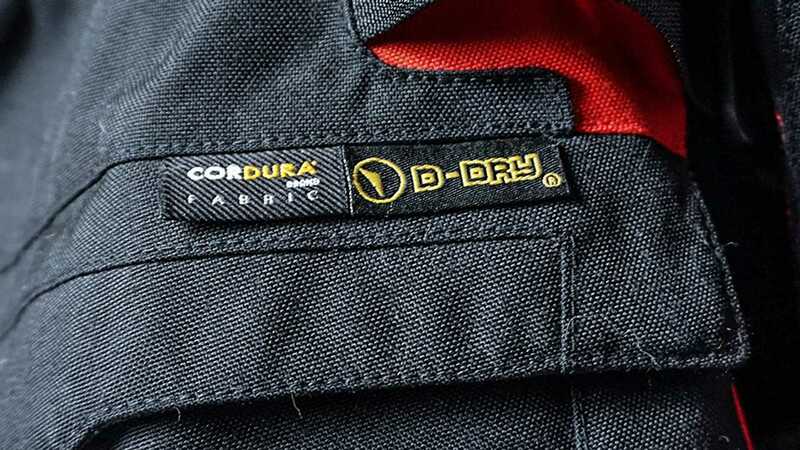 The top Cordura layer provides the usual protection and features pockets for the elbow and shoulder protectors. D-stone fabric patches have been added to key impact areas including the shoulders and elbows. There is a compartment for the back G1 and G2 protectors as well. These are sold separately of course. 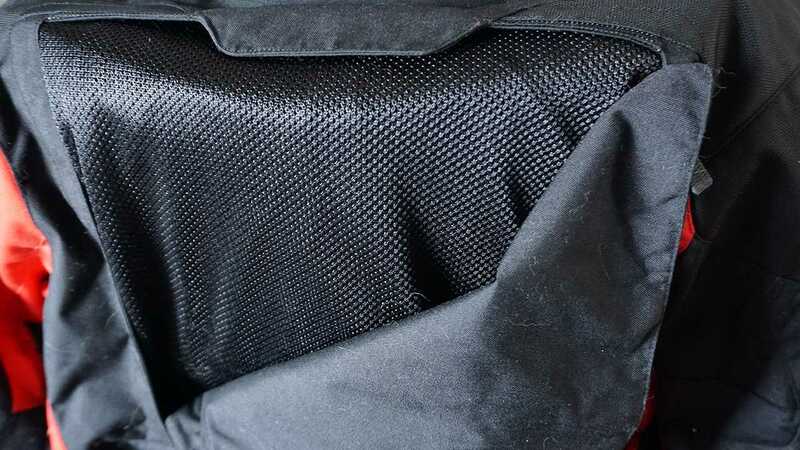 The outer layer also features two mesh vents at the front and a big one that covers the entire back, which helps create some airflow inside the jacket. The panels at the front and at back can be completely rolled down and tucked away for maximum air circulation, or they can simply be unzipped and held up in place at the top by magnets. From a standard jacket, it easily turns into a summer-friendly layer that won’t overheat if you are riding in the scorching sun. 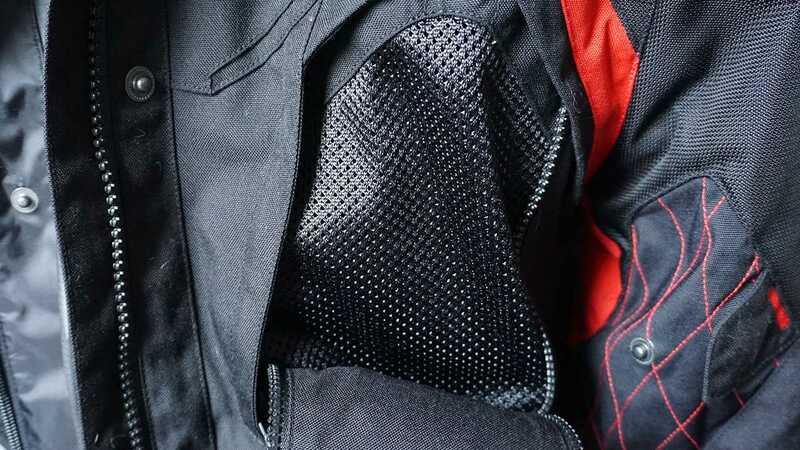 Straps at the waist, wrists, and on the upper and lower arms allow the rider to perfectly adjust the tightness of the jacket around the waist and at the sleeves. On the inside, a zipper on the lower back which allows the rider to zip and attache the pant to the jacket to avoid unwanted updrafts. Zippers at the hips help adjust the bottom hem of the jacket for added comfort and avoid pushing the jacket up when seated on a bike. The middle layer is made out of a D-Dry membrane that’s fully waterproof but also breathable. Finally, the inner layer adds to the jacket’s warmth factor: it’s a simple, lightweight thermal jacket that keeps the core warm. 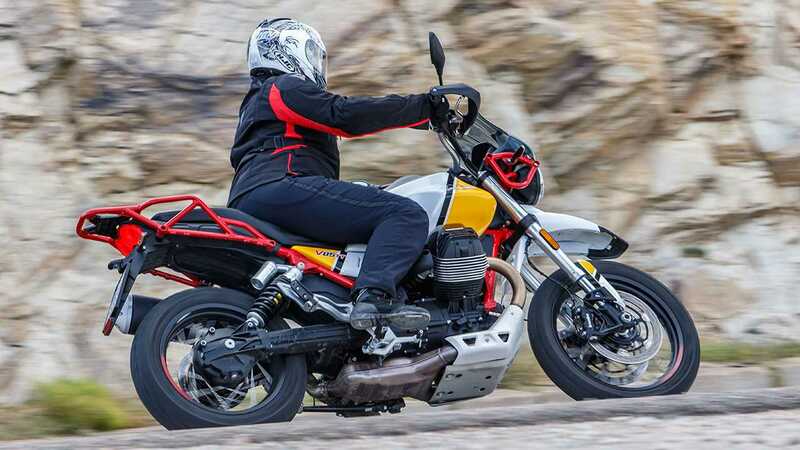 What I find extremely clever about the X-Tourer design is that all three layers can be used independently. The thermal layer can be used as a simple, elegant jacket, while the D-Dry membrane can act as a raincoat. As for the outer layer, it acts as a standalone, standard motorcycle jacket. This means that should you hit the road or travel with the X-Tourer, you pretty much have three coats in one, minus the hustle of having to carry them all separately. The fact that it can be easily "customized" makes it an excellent and proper four-season jacket. The downside to the design is the integration: all three layers are superimposed and held together only by a handful of snaps. The thermal layer is attached to the waterproof membrane which in turn is attached to the protective layer. This means that each layer moves and twists separately as you put the jacket on, which might cause some initial discomfort as you try to straighten things out. You also need to zip them all separately, unless you do like I did and zip only the outer jacket. I would have liked to see a little more refinement in the integration. 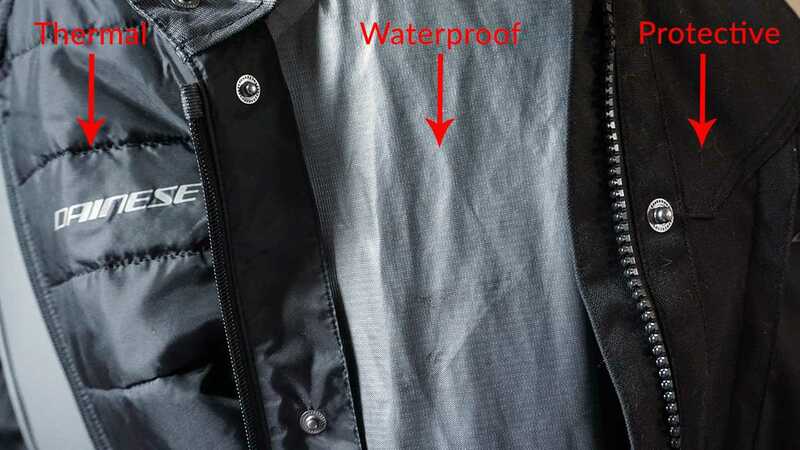 For instance, I have another Dainese jacket in which the thermal layer is safely zipped and secured to the outer shell, a system I find much more efficient than snaps. You might think that a multi-layer, waterproof jacket to tackle Sardinia’s winding roads might be a bit overkill, but the weather wasn’t nearly as nice or as warm as I had pictured it to be. Without being cold, temperatures were hovering around 65°F when we stepped out on the morning of the ride, which is a comfortable, coolish temperature for a ride. We also started off on our journey under a light rain, which made me very happy of the choice of jacket Dainese had made for me. As the day went on, the sun came out and warmed things up. Without having to stop and start shedding layers, I found that opening up the front vents and clearing the neck a bit was sufficient to keep me cool as the day warmed up. It was just enough to get me the right airflow I needed not to overheat. Had the day become any hotter, I would have considered removing the thermal and waterproof layers, but it never got to that point. Despite the minor flaw I found in the integration of the layers, I remain pleasantly surprised and satisfied with how versatile the jacket is. 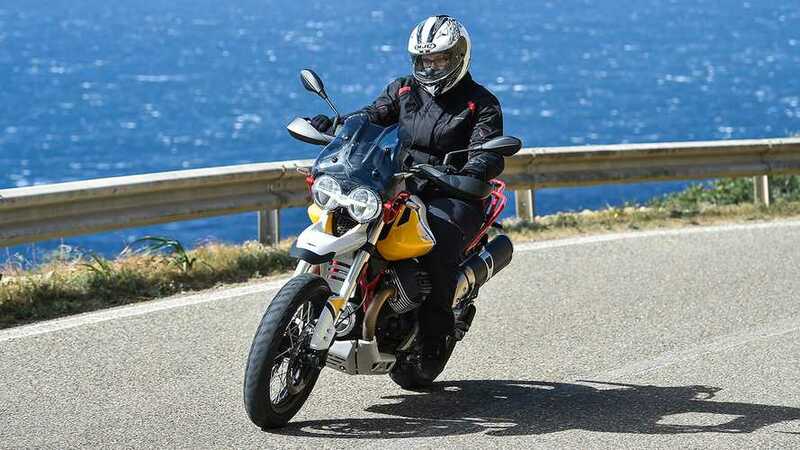 The Dainese X-Tourer D-Dry is offered both in ladies and gentlemen sizes and cuts and is priced at $499.95—not a cheap purchase, but remember that this gets you three jackets in one and the Dainese quality that will last your for ages. If you’re on the market for a great and versatile riding jacket, the Dainese X-Tourer D-Dry should definitely be on your list.